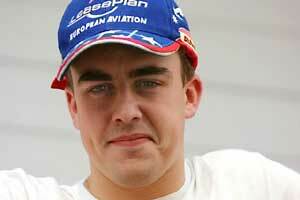 RENAULT SPORT has taken on Fernando Alonso to be its second test driver in 2002. The news means that the Spaniard will not be racing next year but will do testing work alongside the team's number one tester Mark Webber. Alonso, Webber and Renault Sport driver Jarno Trulli are all personally contracted to Flavio Briatore's management company. This means that Britain's Jenson Button, who has a year to run on his Benetton deal, will be under pressure. The news also means that Minardi is going to have to find a new driver to lead the team as Alex Yoong does not have the experience necessary to produce the kind of results that Minardi need. The Ledbury-based team is believed to be talking about a possible deal with Heinz-Harald Frentzen, although the German is waiting to see what happens with the Prost team. Although Alonso has done a creditable job there are a lot of people in F1 who feel that he is somewhat over-rated having not really had any topline opposition in his career. Alonso's best result this year was 10th in the German GP. Tarso Marques may have been dropped by the team and may not have been able to match Alonso's pace but he twice finished ninth before being dropped because of Yoong's budget. While being a test driver is a good way to learn a team and a car, drivers who do not race often find that it tends to blunt their racing edge.